Anisa Purbasari/Business InsiderSweaty after a long day of walking in Bangkok, Thailand. Two years ago, I made the decision to leave my job as a lawyer to travel the world as I transitioned into a new career as a journalist. The decision was scary, exciting, and left me wondering more than once if I’d made the right decision. I can now say without a doubt that I did. The experience not only let me tick a few countries off my list, but also equipped me with skills and experiences that have been useful in both my personal and professional lives. Unwinding by my apartment pool in Phuket, Thailand. Many people dream of quitting their jobs to travel, but it's important to think about why you want to do this, what you want to get out of travelling, and how you think travelling will achieve this purpose. For example, I wanted to travel to reinvigorate myself after a stressful stint as a lawyer and transition into a new career. Doing this meant travelling at a slow pace, staying in each destination for a month or two. I also needed to rent an apartment with a decent internet connection so that I could work remotely. 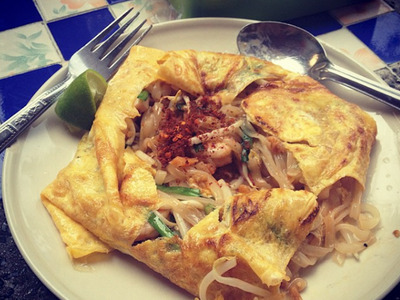 Tucking into a pad-thai wrapped in omelet in Chiang Mai, Thailand. Everyone's reason for travelling is different, and people value certain activities and experiences over others. For me, sampling the cuisine in each place was extremely important, so I chose to spend my time and money hunting down the best eats ... sometimes over 'must-see' tourist hotspots! 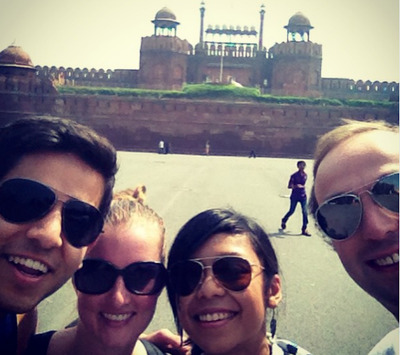 Outside the Red Fort in New Delhi, India, with my travelling companions. I travelled with my husband, which made this aspect easier. There was no awkwardness when we voiced our thoughts about what we wanted to do and how much money we were planning to spend. On our trip to India, two of my college friends joined us. There were no major conflicts, but there were times when we differed in what we wanted to do, what we were willing to pay for accommodations, and even where we wanted to eat breakfast. It was a short trip, so we were able to compromise on most things. If it was a longer trip, however, I could envision frustrations building up -- potentially ruining the trip and even the friendship. Make sure to set expectations with your travel buddies before you depart. 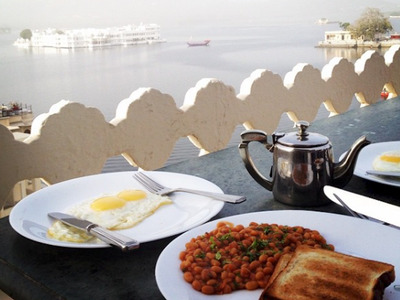 Breakfast at the hotel balcony in Udaipur, India. In her popular blog Legal Nomads, lawyer turned travel blogger Jodi Ettenberg cautions prospective travellers who wish to run away from their problems. You might feel good about 'getting away from it all' the first few days, weeks, or even months of travel. But any problems you try to leave behind will always find their way back to you in one way or another. 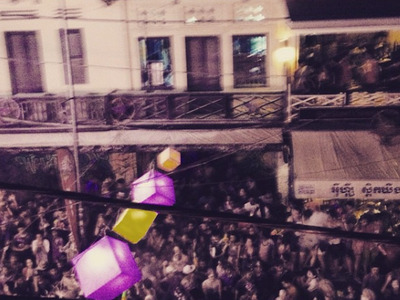 Celebrating Khmer New Year in Siem Reap's infamous Pub Street, Cambodia. Accidents on the road happen, and often they're not the ones you mentally prepare yourself for. Our insurance came in handy when my husband was bitten my a street dog on our morning jog in Siem Reap, Cambodia. We didn't want to take any risks with the potential of contracting rabies, so we opted for full treatment. Without insurance, it would have cost us about $4,000. Previously, I had always been blasé about travel insurance, never really having needed it. Now, I will always factor it as a non-negotiable cost of travel, no matter the destination. 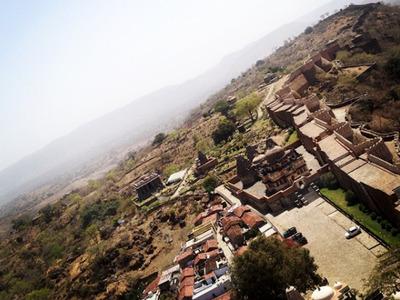 The view from up high in Kumbhalgarh Fort, Rajasthan, India. Long-term travel is not always glamorous. If you're doing it while building a business (like my husband) or a starting a new career (like me), repetitive days are guaranteed. And while being in a new place is exciting at first, eventually you get settled into a routine, just without the support network that you're used to having at home. Suddenly the excitement turns into, well, loneliness. When we discovered this at the beginning of our travels, we decided to embrace it, along with the fear and uncertainty of what our future travels would bring. When those negative moments struck, we allowed them to pass and focused our energy on the positive experiences that we had that day. 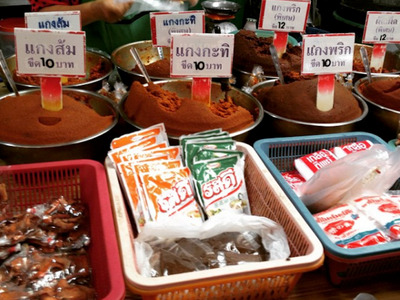 Choosing from a range of homemade curry paste at a fresh market in Phuket, Thailand. 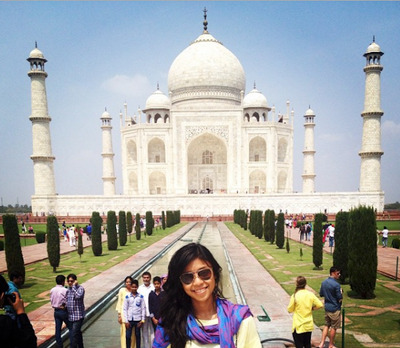 Don't get me wrong, I loved seeing the Taj Mahal up close and witnessing majestic Angkor Wat at sunrise. But they weren't my most memorable travel moments. Some of my favourite memories are sleeping on an overnight train in India, shopping for unique ingredients at the local market (pictured above), and having candle-lit dinners by necessity due to consistent power outages. 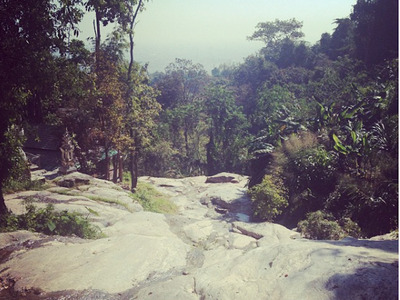 View from a hike in Chiang Mai, Thailand. What are you going to be doing? How much will you earn? How long will it take for you to have money coming in? How much do you need to save in advance to tide you over until you start earning? Some travellers, like Karen Sargent and Paul Farrugia, discover and take advantage of opportunities while they are on the road. However, they focused on saving money beforehand to cover their expenses until those opportunities presented themselves. Attending the wedding of one of my college friends in Kanpur, India. 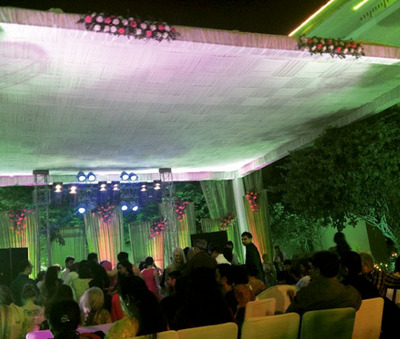 Attending the wedding of a college friend during my trip to India taught me more about the culture and people than any book or article ever could. Taking the time to speak to a tuk-tuk driver in Siem Reap about his life provided unique insights into the hopes and aspirations of young Cambodians. When we travel, it's all too easy to withdraw into our comfort zones and only engage in conversation with people we know. But the rewards for doing the uncomfortable are often much greater. 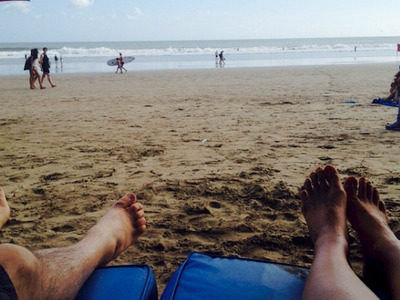 Relaxing in Seminyak Beach, Bali, Indonesia. Southeast Asia and India are some of the best destinations for cash-conscious travellers, but there were still times when money stress hampered the travel experience. You will never regret over-budgeting for your trip. 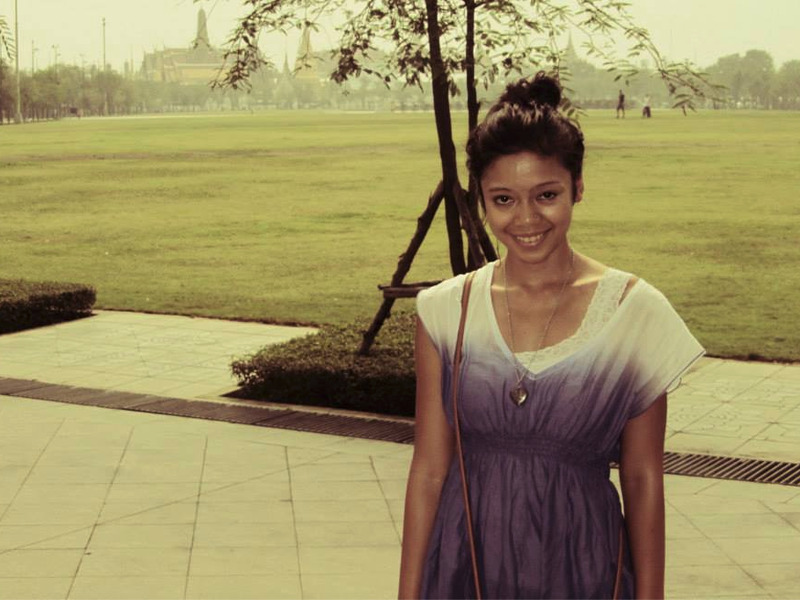 Professionally, I was able to land freelance writing opportunities while travelling because I kept in touch with a supervisor from a previous internship in Singapore. Making personal connections can also benefit you in your travels beyond that country or city -- for example, new friends may have contacts in your next destination. 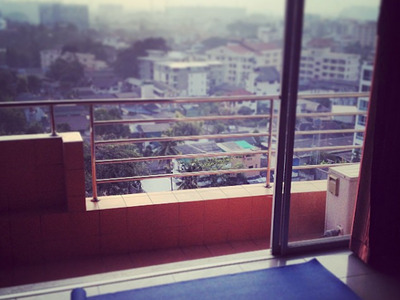 The view from my apartment in Chiang Mai, Thailand. Prior to my travels, I'd voraciously consumed podcasts and blog posts about digital nomads who adopted the work-while-travelling-the-world lifestyle. But during my trip, I discovered that I prefer the physical stability of having a home base. While I taught myself how to be productive on the road, I am much happier when I know I will settle somewhere for a few years, as opposed to a few months or weeks. In front of the Taj Mahal in Agra, India. Moving from one unfamiliar place to another will always yield some negative experiences and frustrations about unmet expectations. For example, we didn't realise that power outages were commonplace in Cambodia, and that when one occurs, it can go on for more than 24 hours. The first time it happened, my husband and I complained and sulked. When it kept happening, we soon realised that our grumpiness wasn't helping the situation. We eventually learned to be grateful for the inconvenience, as it provided an opportunity for us disconnect from our phones and laptops and talk to each other. We also began visiting other parts of the city that had power or generators, encountering places we probably wouldn't have discovered had the lights stayed on. Every experience always has an aspect that you can be grateful for, even when it's difficult to think of one at the time. When I think about the destinations I want to return to, places where I've cultivated relationships that I want to maintain tend to be at the top of the list. At the end of the day, what makes a place special is not the temples, historical monuments, or beautiful waterfalls and beaches. It's the people you made memories with there.